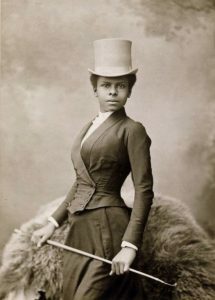 Although little is know of this equestrian, a short film has made and produced about her by award-winning writer-director Sybil Mair Sybil Mair. The film titled “The Adventures of Salika was released in September of 2017. It is a coming of age story about an African princess who must forge her own way in the world after being displaced by war. She ends up in France and makes her way to the Haute école.